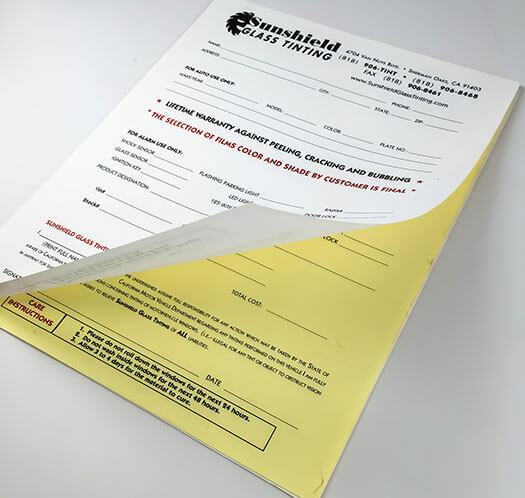 Carbonless or NCR forms are printed on smooth 20 lb Bond Paper. It comes in three sequences depending on your needs. These paper are treated so your imprint is transferred from the original (white) paper to the other paper(s) underneath. These forms are printed digitally in black. Avoid heavy coverage as it may affect legibility of text as well as writability. For full color or pantone color printing, get in touch with one of our product specialists. After printing, carbonless forms are glued in sequence. Each sequence of two, three or four will be one glued piece. 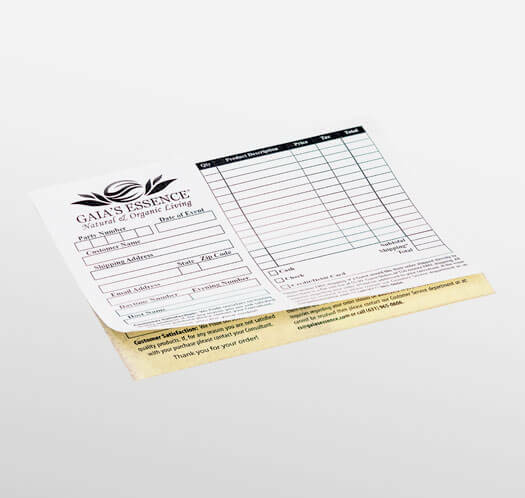 If you prefer to have your forms in a pad, contact us and we'll have that taken care for you. Sequential numbering is a great way to keep your forms organized. It is convenient for tracking and recording. Automatic numbering starts at 001 and ends at your finish quantity, however, you can always select your unique starting number. 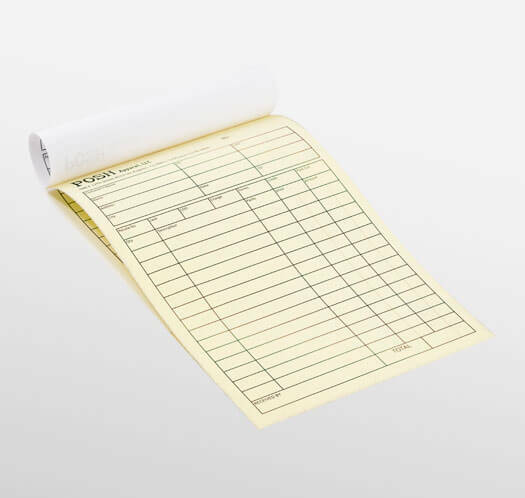 Carbonless forms are used as order forms, invoices, packing slips, delivery slips, or receipts. Use it as you deem necessary for your business but know that it will always provide convenience when it comes to making copies. Depending on the number of parts you selected, you can keep a copy for yourself, customer or other departments. Not all projects are created equal. For a one-of-a-kind brochures made just for you, contact us to speak with one of our product specialists.